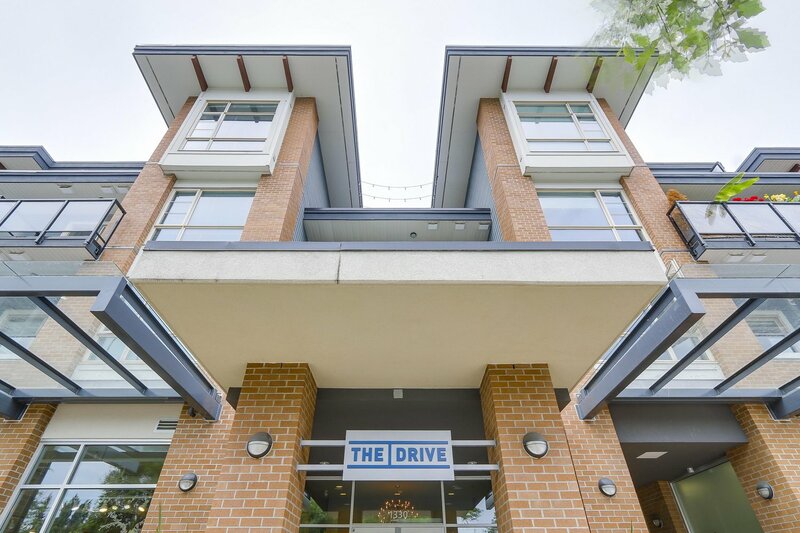 Don't miss this one @ The Drive! 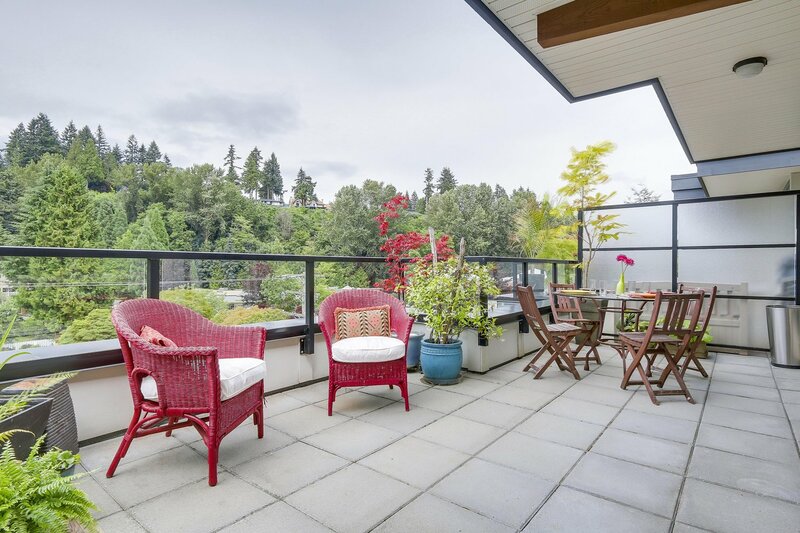 Penthouse living on the North facing (quiet side), 2 bedroom, 2 bathroom, 912 SF condo is the best! 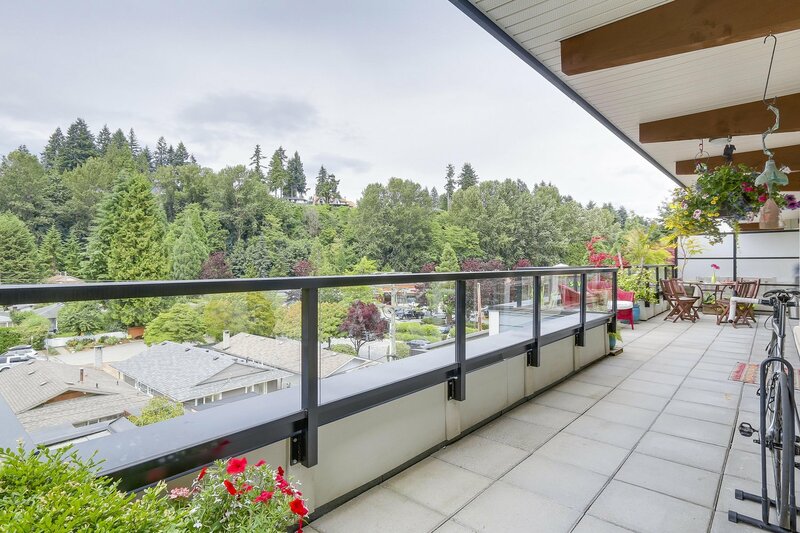 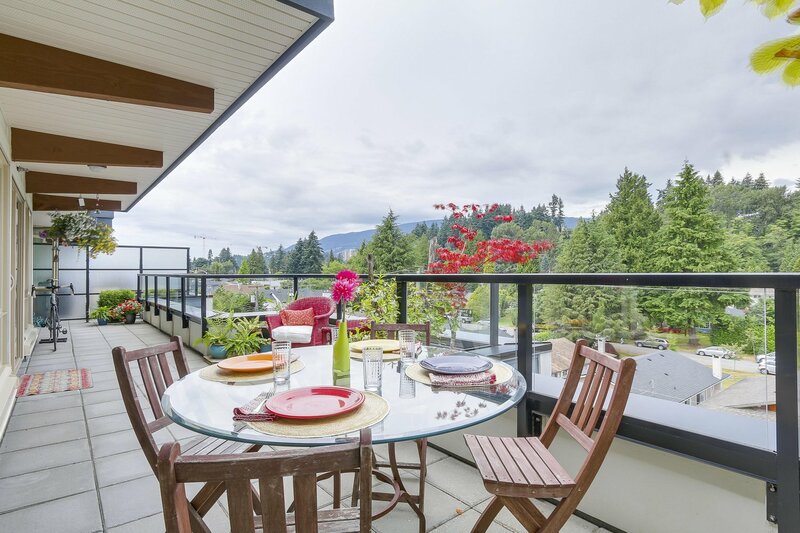 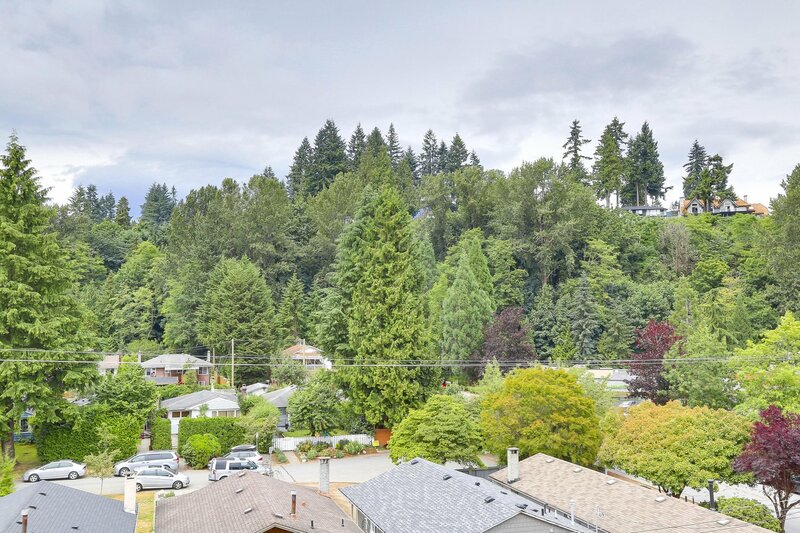 Enjoy the superb mountain and greenspace views from inside & out while entertaining on your totally private, 327 SF Terrace with gas line hook-up for the BBQ. 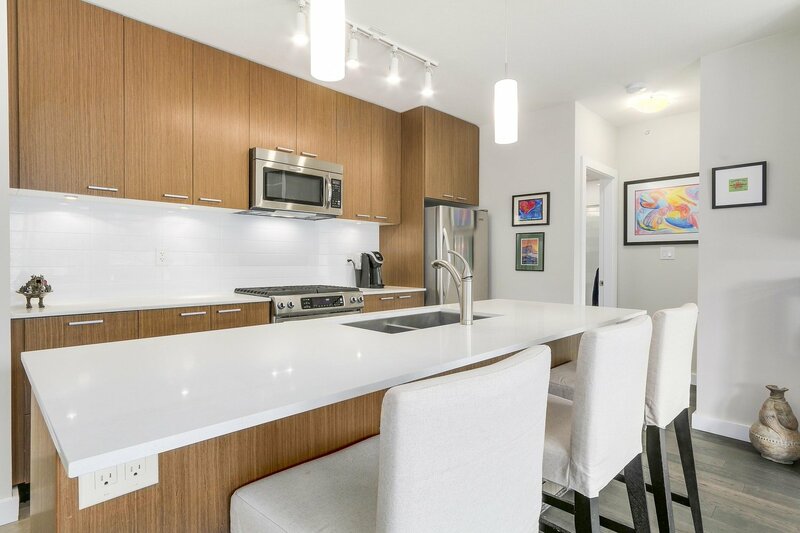 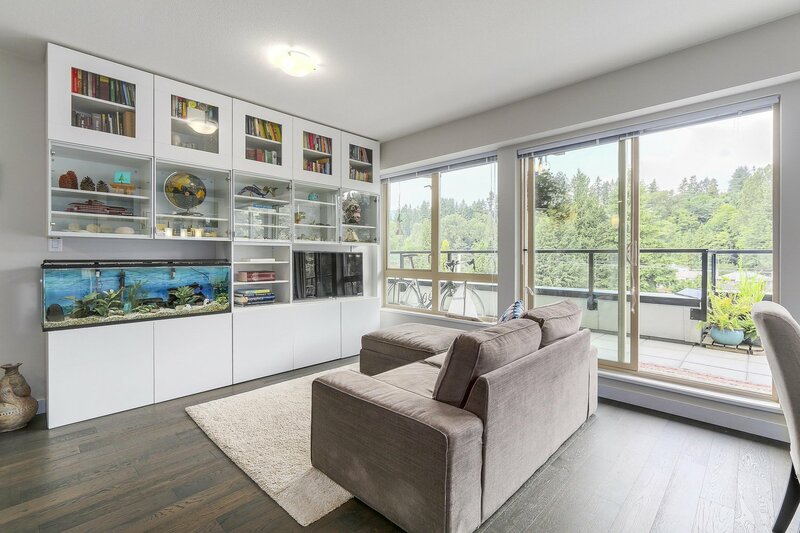 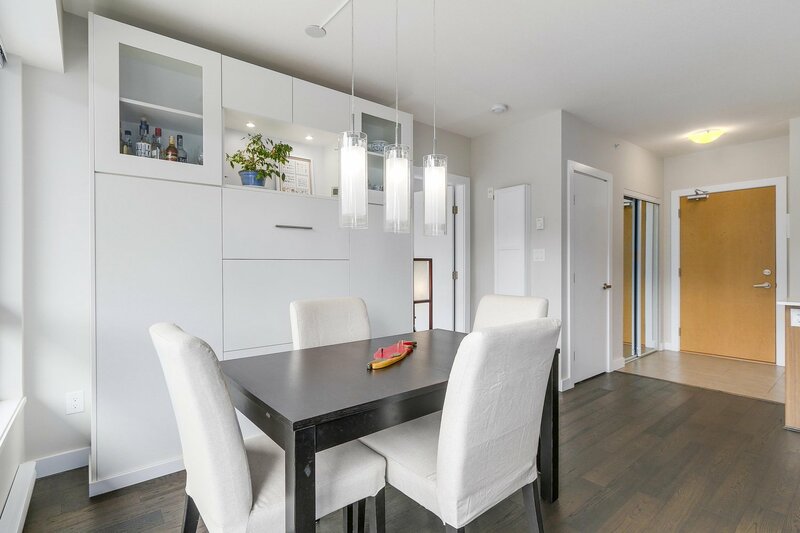 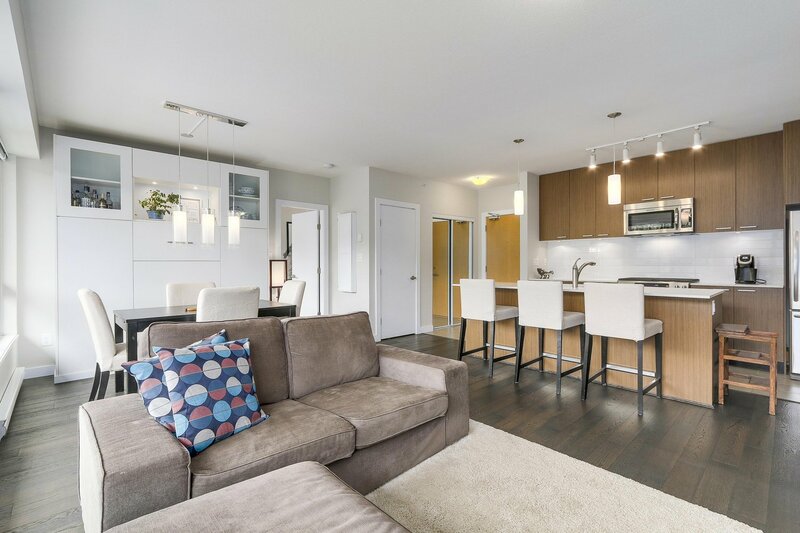 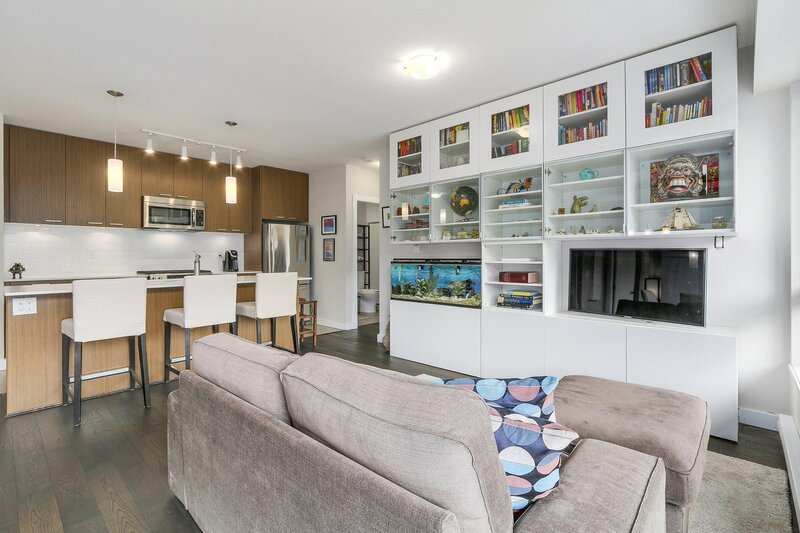 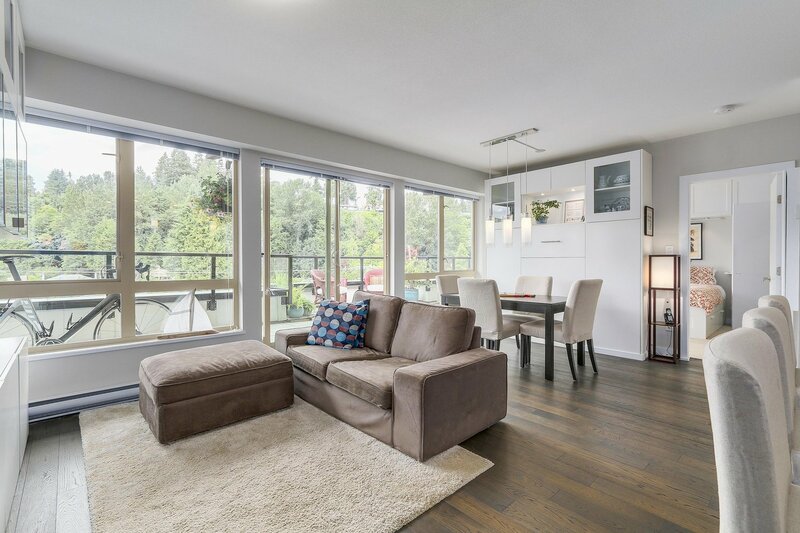 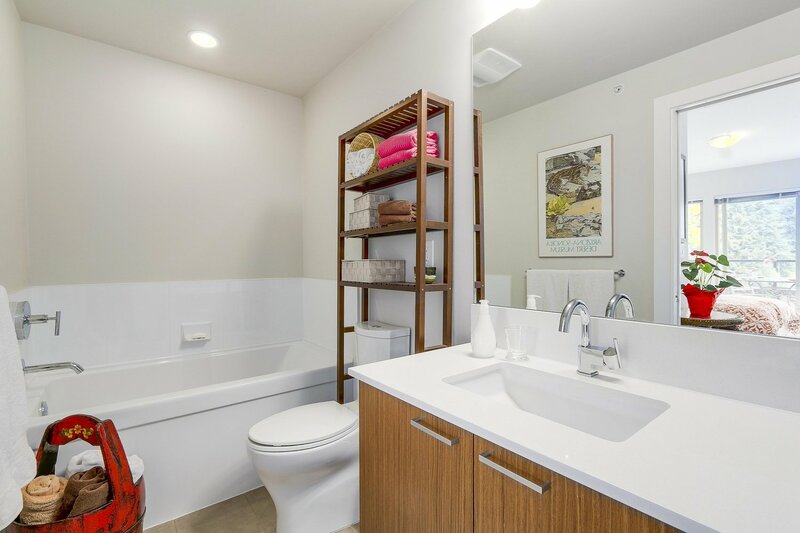 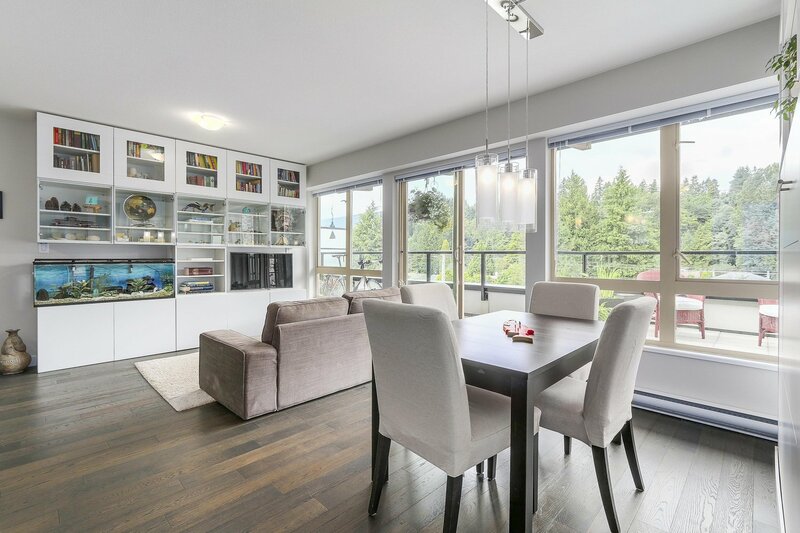 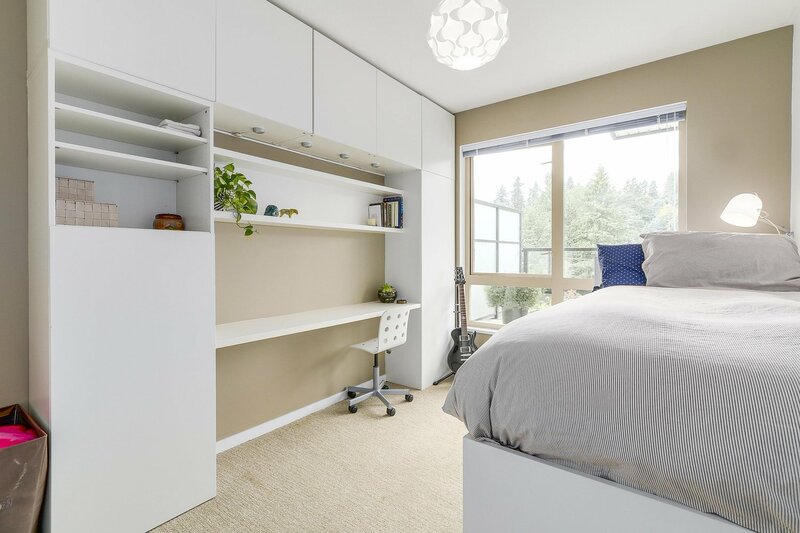 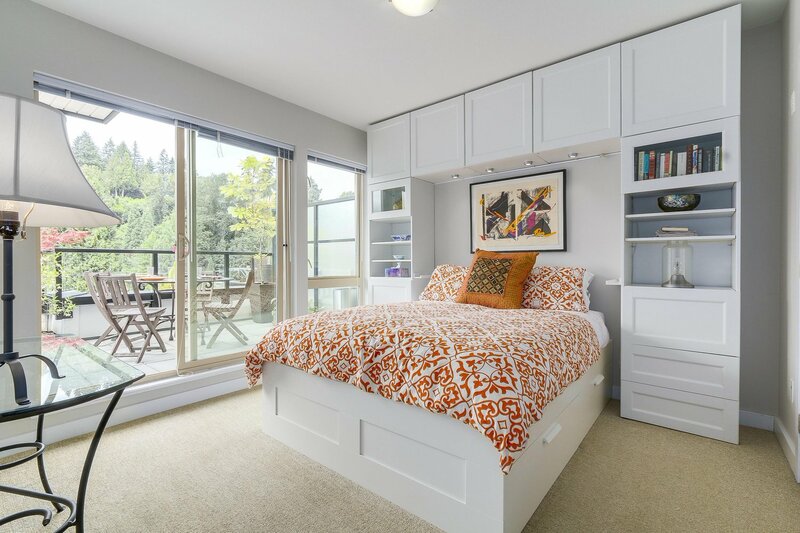 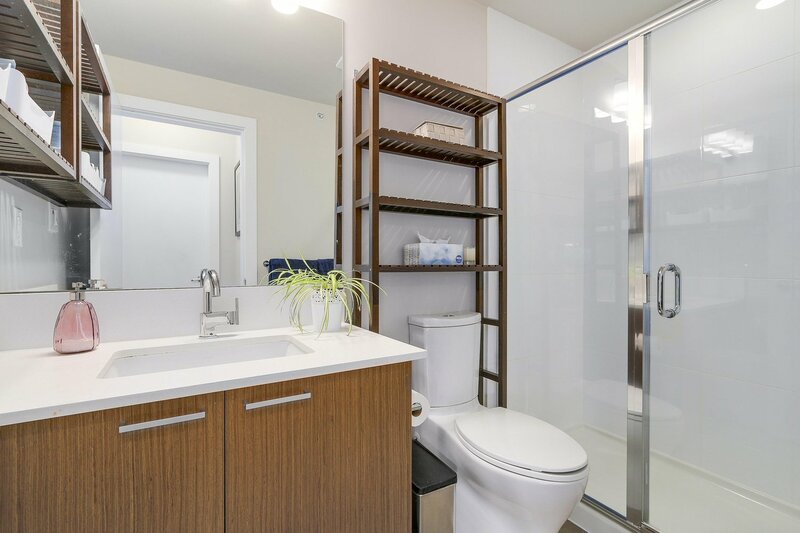 This Onni built building has over height ceilings, open concept living and dining area with custom built-ins for extra storage plus a Murphy bed. 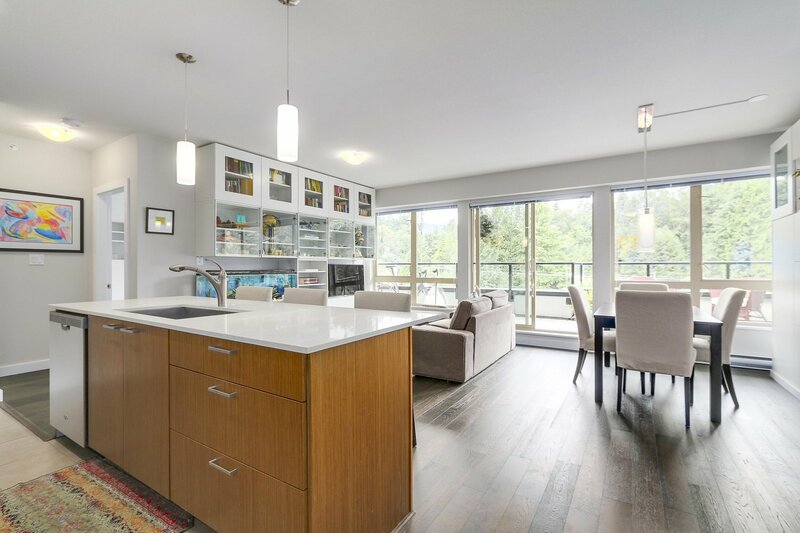 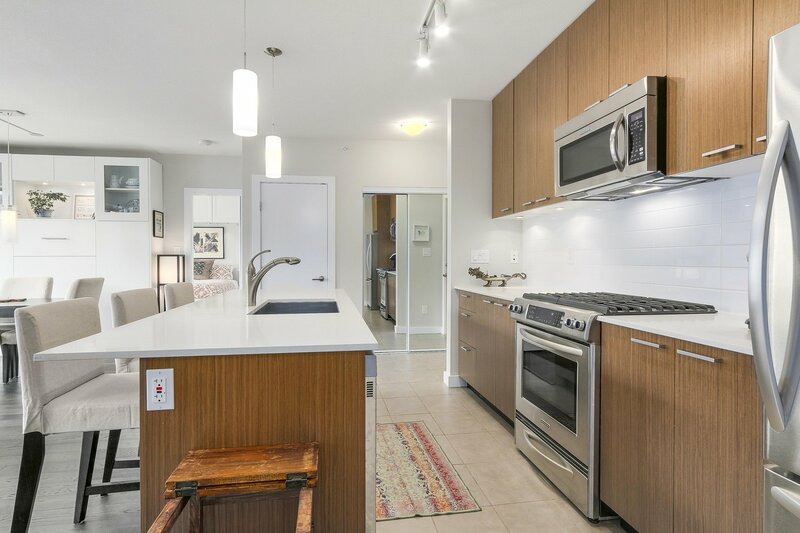 The open plan kitchen has a large island, stainless steel appliances, gas cooktop, stone countertops and roll-out storage organizers in the cupboards. 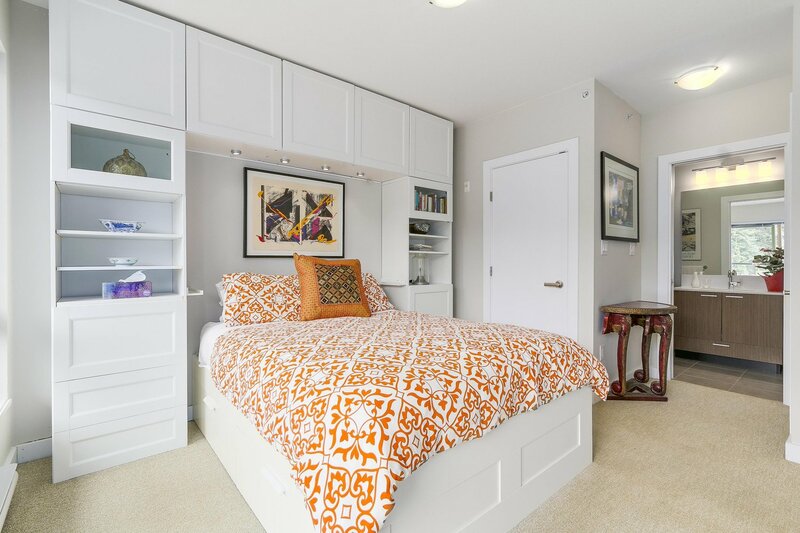 Separated bedrooms also come with custom built in cabinetry and both have walk in closets. 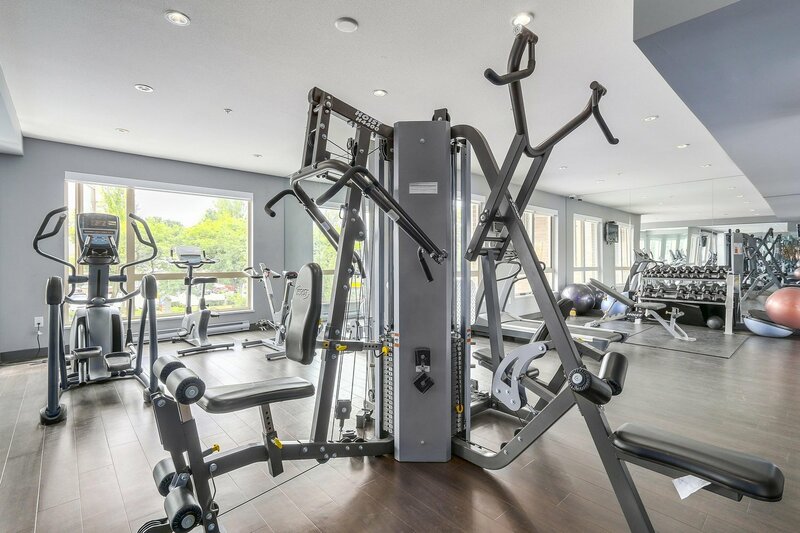 Enjoy the "86" Walkscore and all the amenities close by.